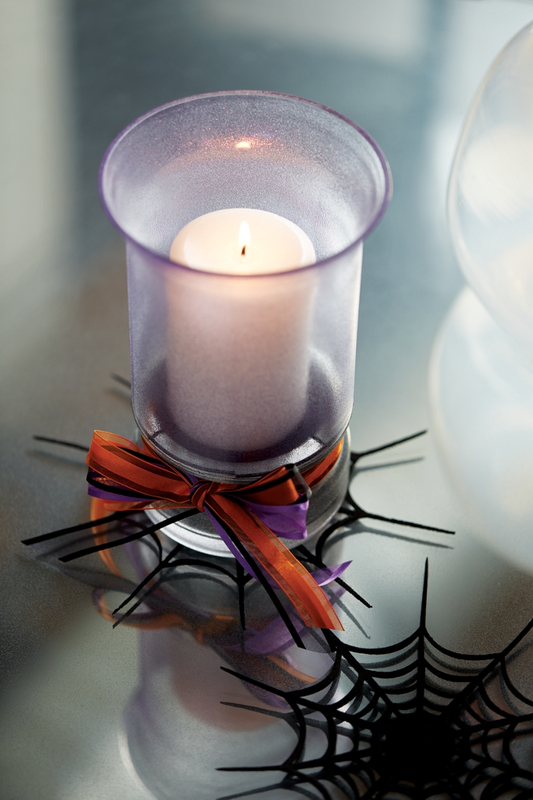 Put a glamorous spin on Halloween with a custom vase that sparkles in a purple and black glitter finish. Sparkling Purple and Black Halloween Vase was designed by Vicki O’Dell. Tape off the top of the vase with painter’s tape and/or newspaper. Spray with several light coats of Krylon® Glitter Bast™ in Starry Night, allowing the paint to dry thoroughly between coats. After the final coat, let set overnight and then remove the tape and newspaper. Mask off the bottom of the vase with painter’s tape and newspaper. Paint the top of the vase with Krylon® Glitter Blast™ in Grape Glitz with several light coats, allowing the paint to dry thoroughly between coats. Cut three lengths of ribbon and tie them around the base of the vase. Apply Krylon® Glitter Blast™ in several light coats to achieve the best finish.